Reports in Spain are claiming that Liverpool are interested in signing Brazilian left back Zeca as a replacement for Alberto Moreno this summer. Spanish publication ‘AS’ are linking Liverpool with an £11m move for 23-year old Santos left back José Carlos Neto – or ‘Zeca’ – as a possible replacement for the erratic Alberto Moreno who is expected to be sold. The Brazilian has been plying his trade in his home country since 2014 but it was in 2016 when he became an internationally recognised name, winning a gold medal with Brazil at the Olympics. The idea of signing a left back in itself is highly appealing, given that Klopp has been forced to use James Milner in the position for much of the last 12 months but what really stands out about Zeca are his two-footed capabilities. 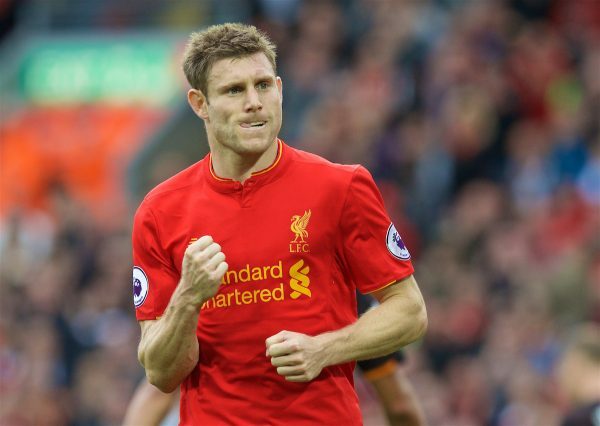 As well as being able to cut in onto his right foot and pass infield or shoot – also known as ‘the Milner’ – the left back is equally adept at bursting to the byline and delivering crosses on his left, something that the Reds lacked across 2016/17. The addition of a naturally left footed option at left back is something desperately needed after Milner spent much of the final 3 months of last season unable to make a significant impact going forward, such was the predictability of his game. These rumours see Zeca added to a long list of supposed left-back targets linked to the Reds with the likes of Benjamin Mendy, Ryan Sessegnon and Porto’s Rafa Soares all being previously thrown into the mixer so far.